Be impressed with the amazing landscape of Myanmar with our 13-day Myanmar tour to reach the new destinations that reveal myriads of surprises. During 13 days, we take you throughout the most popular tourist attractions of the country to taste authentic Myanmar. 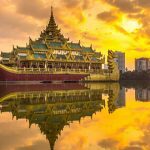 From Yangon to Bagan, from Mandalay to Inle Lake, you will get a chance to marvel at the fabulous heritage sites to include the Shwedagon Pagoda, 2000 temples and old ruins, and the breathtaking boat trip etc. 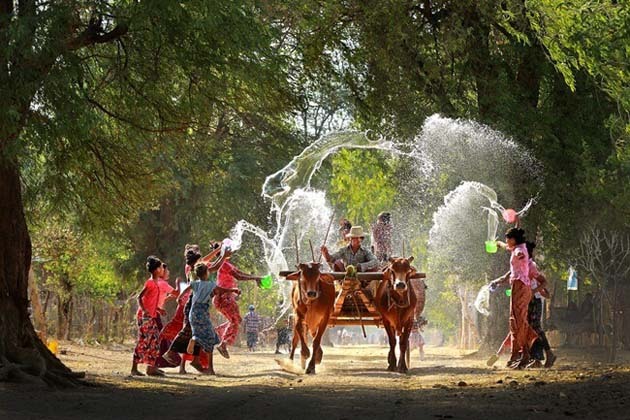 All are rolled into one to deliver you an unforgettable Myanmar vacation. Mingalaba! Welcome to Myanmar – where to expect the unexpected. Upon arrival at Yangon international airport, meet your local Myanmar tour guide and move to the hotel for check-in. The rest of the day will excite you with the Thingyan Water Festival that you will witness exciting activities to help people to relax after a working hard year. Today is a full day let you take a city tour around Yangon to discover an urban with colonial-infused influence on the architecture. Get a glimpse at the post office – a lovely red-brick building. Next, gaze out at Strand Hotel, Mahabandoola Garden, and Independence Monument as you passing through the street. Your next stop takes you to Chau Htat Kyi Pagoda where you can admire the 66 meters long reclining Buddha image. Your afternoon sightseeing continues after lunch with the stop in Karaweik Hall. 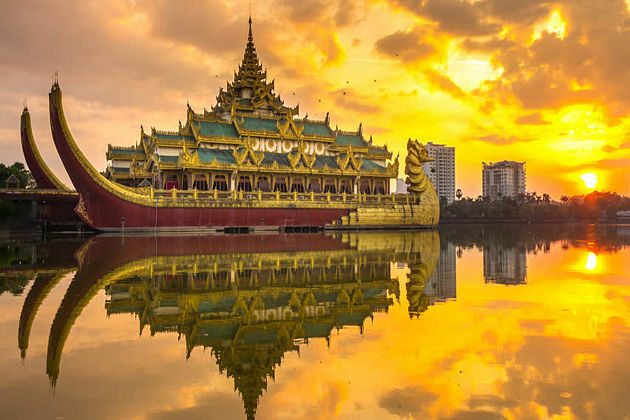 In the sunset time, gain truly wonderful moment as you visit Shwedagon Pagoda, with the crown is tipped with 5448 diamonds and 2317 rubies, it is one of the most impressive and sacred religious sites in Myanmar. Say goodbye to Yangon this morning to board a flight to Bagan – one of the world’s largest archaeological sites. Flecked with more than 2000 temples, Bagan promises to give you a mind-blowing experience. 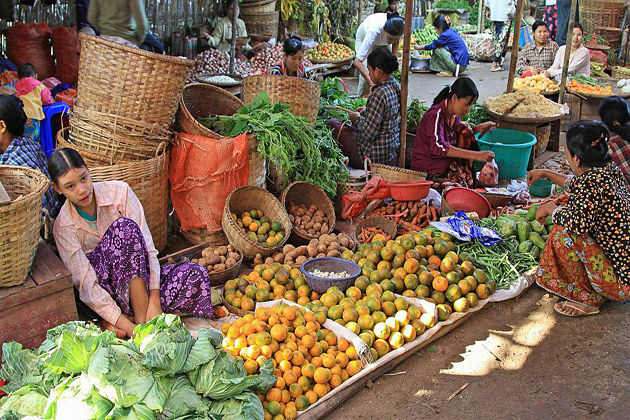 Upon Bagan, start your full day sightseeing with the first stop in Nyaung U Market to get a glimpse at the daily life of the local people. Next, you are entering a local lacquerware workshop. Here you can get to know about the traditional methods to create lovely souvenirs. In the afternoon, soak up to the most magical moment of the day on the top of the hill, enjoy your sunset time then go back to the hotel in the late afternoon for overnight. 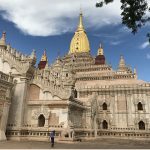 Whenever you experience a village tour in Bagan, you are going to soak up the exotic local lifestyle of the villagers in the tranquil rural area. Among the popular ways to explore a new land that you may experience before, a Pony cart ride in Bagan will truly blow your mind along the dusty paths. In the afternoon, drive to the Irrawaddy River and cruise down to the Shwezigon Pagoda, sit on the sundeck and slowly impressed by the beautiful magic landscape. If you are an adventure lover, don’t miss your chance to get on a bike to cycle around the quaint temples, ruins, and the stop at the villages to greet the local along the way you pass. Following your breakfast, this morning, head to the airport to take a domestic flight to Mandalay. Upon arrival, take a short break before join our amazing afternoon sightseeing. First, stop at the impressive Mahamuni Pagoda – one of the most popular sites for worshippers in Myanmar. Next, drive to the Golden Palace Monastery where remains the last survivor of the last royal dynasty in Myanmar. 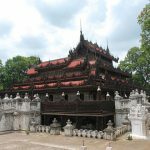 Continue your trip in Mandalay with a visit to Kuthodaw Pagoda where enshrine the largest Buddhist book in the world on 731 marble slabs. Fulfill your memorable trip as you head to the U Bein Bridge – the world’s longest teak bridge where you can take the best photos of sunset time. Today is free to let you explore Mandalay city and around. There is a great option for you today: embark on a private local boat trip cruise through the Irrawaddy to Mingun. Upon arrival, visit the Mingun Bell to marvel at the largest intact bronze bell in the world. From here you can take a stroll to the Mingun Paya – the unfinished pagoda which was intentionally built up as the biggest pagoda in the world. It was damaged by the natural disaster led to the abandon. Notwithstanding, the massive ruin still attracts many visitors all year round. Continue your trip in Hisnbyume Pagoda, an attractive white-washed temple built to follow the shape of Mount Meru. 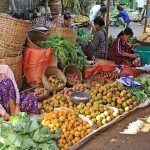 Then explore the traditional village nearby where you can see numerous beautiful item. Later, reward yourself after an exciting day in a coffee shop in the city and enjoy the ambiance. 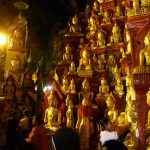 Day 7 delivers you an amazing journey to Pyin Oo Lwin (Maymo) within 2-hour drive. Known as the one destination in Myanmar that you can forget the hot weather, the colorful landscape of Pyin Oo Lwin appears as you reach the town. Spend time to gaze out at the downtown colonial-era buildings and its central market to soak up the lively community. Afterward, head to National Kandawgyi Gardens – the beautiful botanical garden where you can enjoy the fresh cool air in the evergreen forest. Your stunning trip continues after the lunch as you transfer to Peik Chin Myaung Cave – a magnificent combination of a natural masterpiece and human man-made. Spend time to get a glimpse at the location before returning to Mandalay. A stop at the winemaking workshop along the way is always available for you. This morning says goodbye to Mandalay to take a flight to Heho. 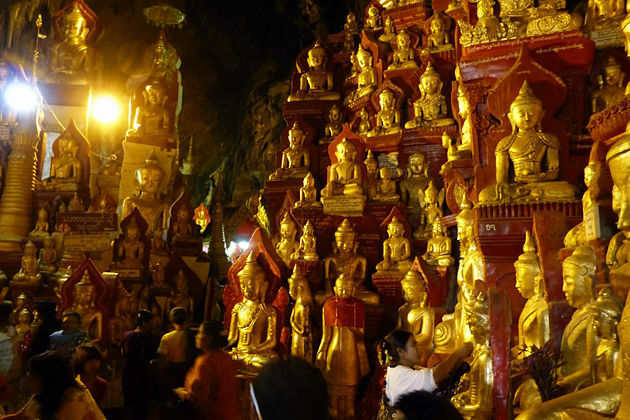 Your first stopover today is Pindaya Cave to admire thousands of Buddha images. 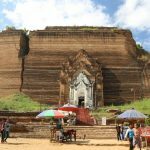 For a long time, the cave has served as an important pilgrimage site for worshippers in Myanmar. Afterward, visit the traditional villages where people make bamboo hats, pottery, handicraft, shan paper, and umbrella. From there you can drive to the Danu Village where you can learn about the process of making tea leaf salads and tea plantation. If luckily, you will also see pickled tea leaves. Later, transfer to Kalaw as you finish your visit. Depart from your hotel at 8:00 am to ready for a full day trekking. Head to Baw Nin Khong village and begins your 2 days trek to Inle Lake. Enjoy a cozy lunch in the village and continue your trekking tour passing through the scenic route dotted with some plantations. Dinner will be served at the local village. Today spend about 2 hours for your trekking tour to visit some school and monasteries. Reach the typical Danu, Taung Yoe tribe villages as you pass by the majestic waterfall where you will learn about the production of bamboo mattresses and handicrafts. Lunch will be served as you reach the Indein village. Later, go back to your hotel on a boat trip. Be an early bird this morning to get on a private boat trip to explore the treasure on the largest freshwater lake in Myanmar. 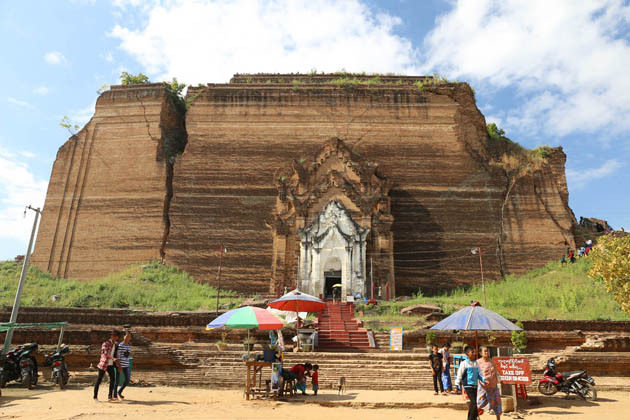 Your first stop today is Phaung Daw Oo Pagoda where is considered the holiest religious site in southern Shan State. During your wonderful boat trip, you will pass by the unique floating gardens, houses, and monasteries built on the lake. 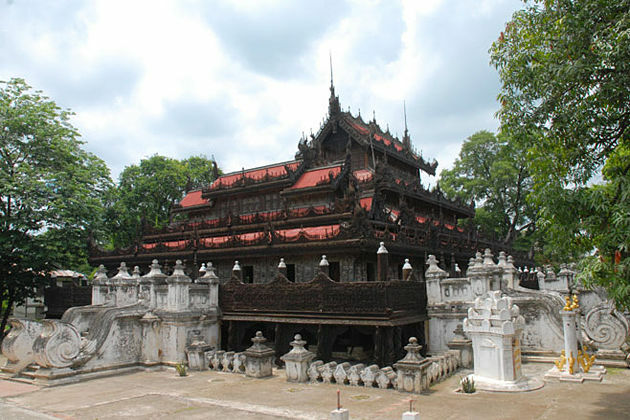 After visiting Nga Phe Kyaung Monastery, proceed to Nampan village to gaze out at the cheroot factory and canoe carving. Toda is at leisure but we still give you an interesting option to join in an amazing cooking class lasts from 9:00 am to 1:00 pm with the surcharge is $30 for each person. Additionally, we also offer you will Indein option to embark on a boat trip and cruise to reach the charming Indein village and explore the long neck tribal women. Besides, you also have a chance to visit the Inpawkon village where is famous for the lotus weaving. Ultimately, the most iconic image of Inle Lake – leg-rowing fishermen who row with one leg wrapped around an oar will be extremely worth your trip to see. The surcharge fee is $45/person include guide and boat. After that, transfer to the Heho airport for a flight to Yangon. A great option for this evening: have a scrumptious buffet in Karaweik Hall with a cultural show ($25/person). The final day in Yangon is free to allow you to wander around the street and have some drink at a coffee house of Yangon before your driver comes to pick you up to transfer to the airport where your holiday ends. Hope you have had a great vacation in Myanmar! Personal and other expenses such as porterage, bar bills and laundry not stated in the itinerary.